Where is MailChimp freddie? A warm welcome to the newest addition to the Abstract Roots team - ROCK ON FREDDIE! 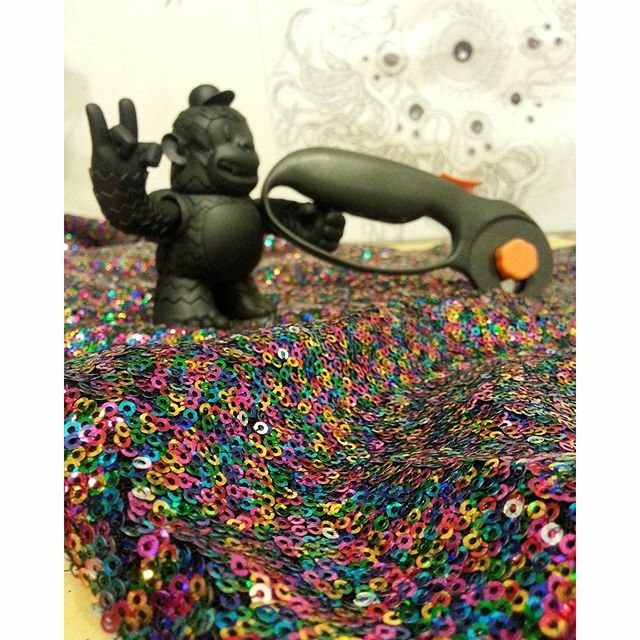 Freddie is busy cutting out rainbow sequin fabric for a handful of fanny packs headed to a bridal party while rocking out to @umphreysmcgee m/ #abstractroots #mailchimp #rockonfreddie #freddie #gimletmedia #replyall #nofreddieswereharmedinthemakingofthesefannypacks #fannypack #sequin #handmade @gimletmedia @mailchimp - Where is MailChimp freddie?